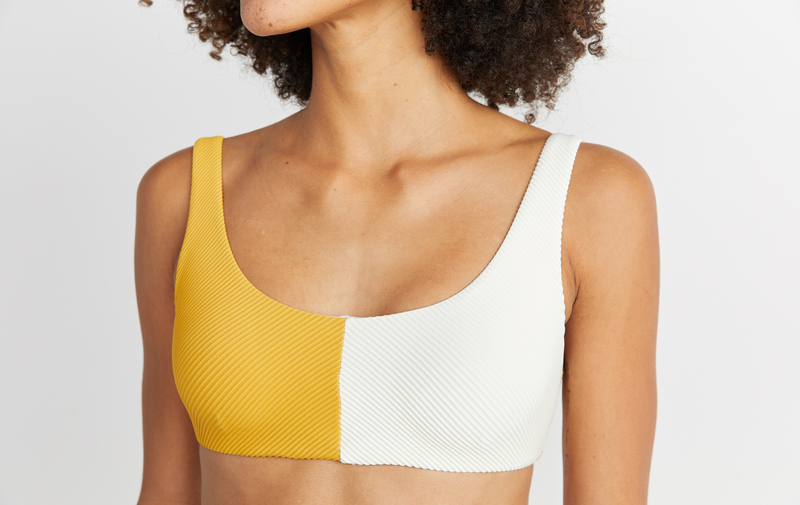 Named after an iconic babe, this ribbed scoop-neck bikini top offers all the coverage you need (but also shows off the perfect amount). Featuring a colorblock design Andy Warhol would be jealous of. For best results, pair with the Edie Bikini Bottom.